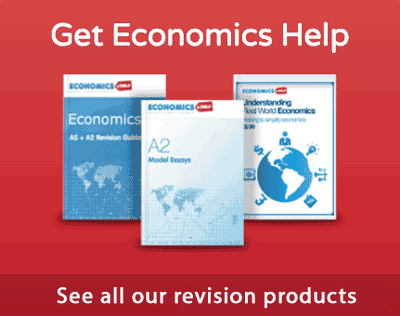 Readers Question: What is the role and function of price in the economy? The price of goods plays a crucial role in determining an efficient distribution of resources in a market system. 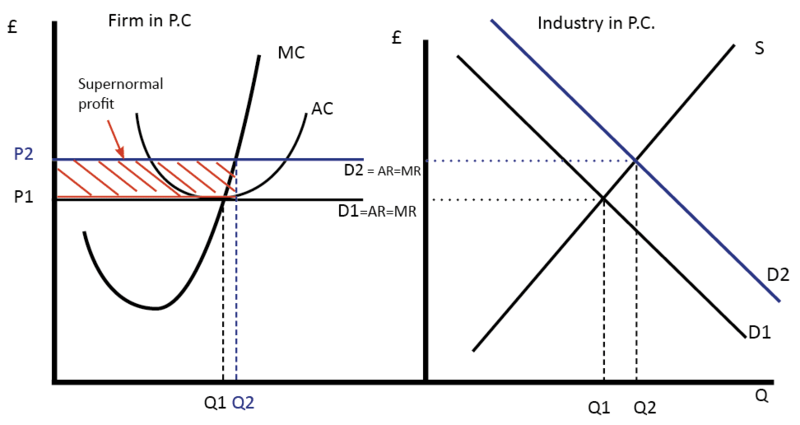 Price acts as a signal for shortages and surpluses which help firms and consumers respond to changing market conditions. If a good is in shortage – price will tend to rise. Rising prices discourage demand, and encourage firms to try and increase supply. If a good is in surplus – price will tend to fall. 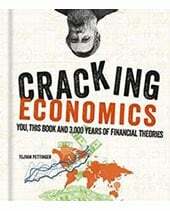 Falling price encourage people to buy, and cause firms to try and cut back on supply. 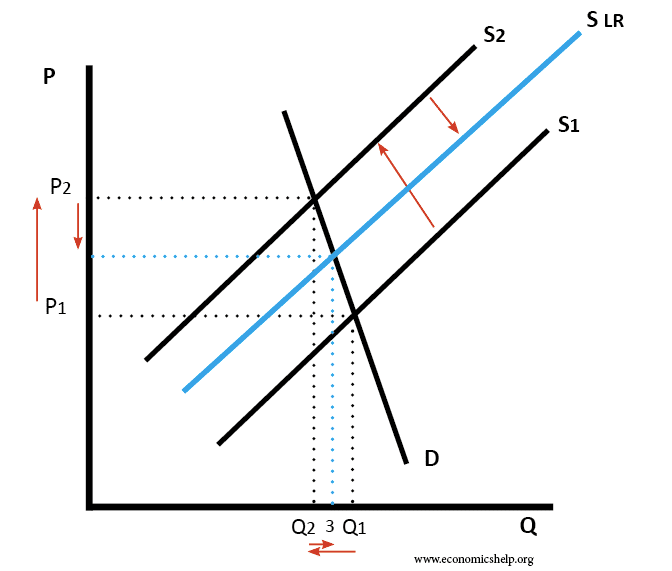 Prices help to redistribute resources from goods with little demand to goods and services which people value more. Adam Smith talked about ‘the invisible hand‘ of the market. This ‘invisible hand’ relies on the fluctuation of prices to shift resources to where it is needed. As the supply of oil falls, the price rises. 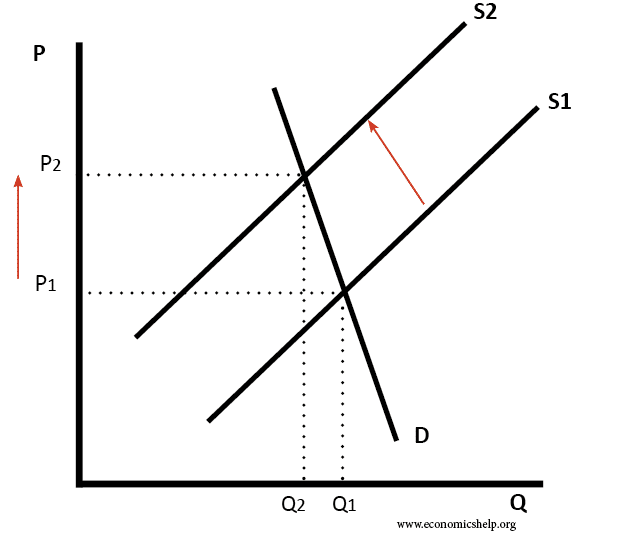 In the short-term, demand is price inelastic and so there is only a small fall in demand. However, markets do not stay static. If price rises, the profitability of producing oil increases. Firms can now make super-normal profit because the marginal revenue is greater than marginal cost. 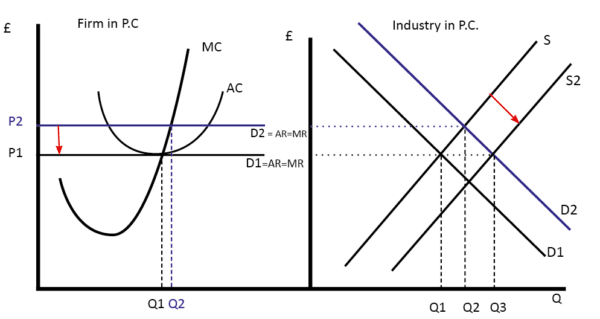 Therefore, this higher price acts as an incentive for firms to try and increase supply. For example, at a low price, it was not worth drilling for oil in the North Sea, but with the higher price, it is an incentive. 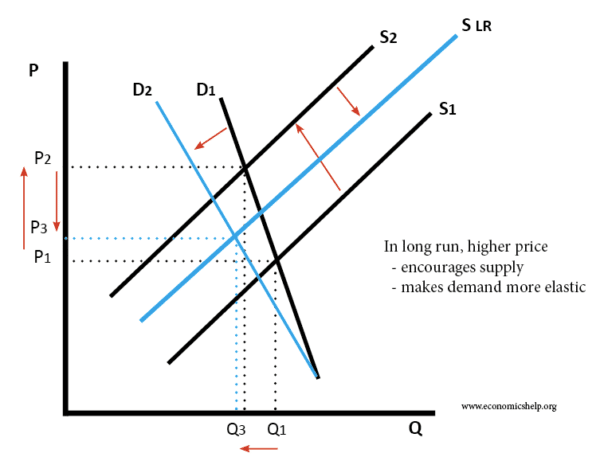 In the short-term, demand is very price inelastic. However, the higher price of oil also has an effect on consumer behaviour in the long-term. Consumers look for more fuel-efficient engines as people are keener to buy cars which have a better fuel efficiency. Therefore, over time, demand falls. Over time, people may start cycling or getting the bus rather than driving. Responding to these changing consumer preferences, firms have incentives to develop cars which don’t run on petrol. (hydrogen powered cars, solar cars e.t.c) – enabling more alternatives leads to less demand in long-term. Therefore, in theory, the rising price of oil will help move the economy away from oil dependency to other means of transport and energy. Some people think we will wake up one day and there will be no oil left and the economy will collapse. But, that is unlikely to happen. Prices will create signals to firms and consumers to look for alternatives. 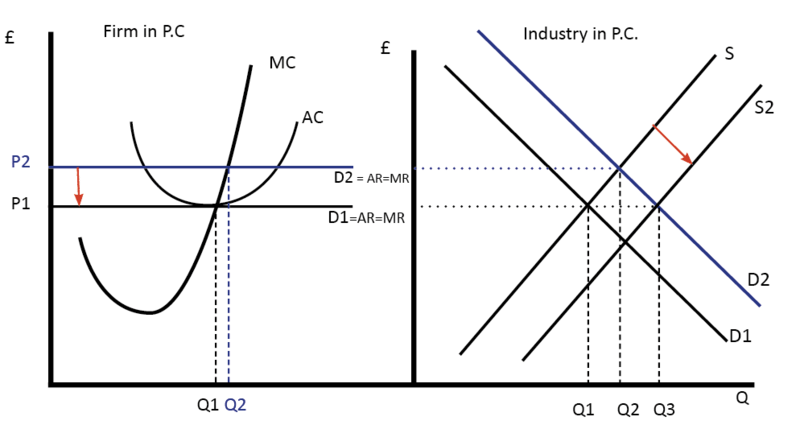 In this diagram, an increase in industry demand has led to an increase in price. This higher price means that firms now make supernormal profits. Supernormal profits encourage new firms to enter the market. Supply will increase until prices fall back to P1. 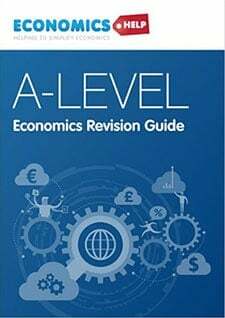 Allocative efficiency is said to occur where the marginal benefit from a good equals the marginal cost. 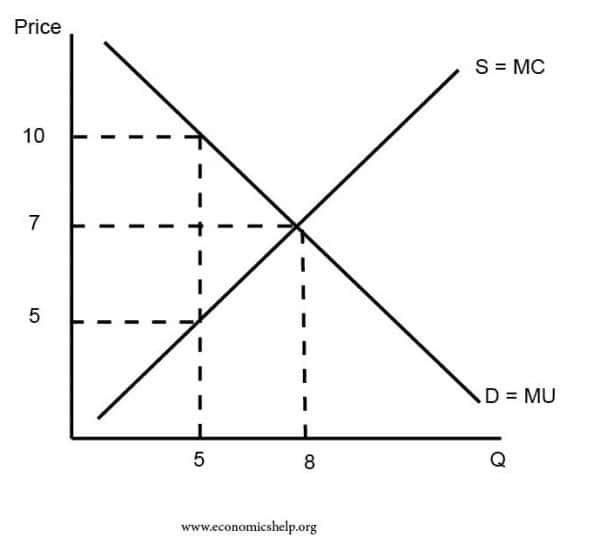 This allocative efficiency will occur at an output where the price = marginal cost. Although the price has an important role in the economy, it has some limitations. 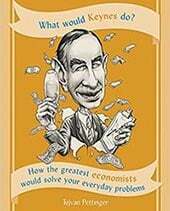 In presence of externalities, the price of goods does not reflect the true social cost / social benefit. Therefore, a free market can cause under or over-consumption. Inequality. Price helps resources shift to areas of greatest demand, but it could lead to an inequitable distribution of resources. For example in a draught, the market price of water could rise so much, people don’t have enough to drink. 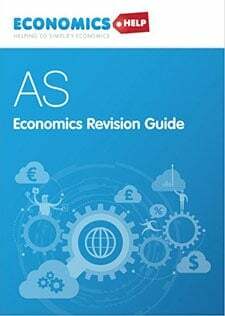 In this scenario, it may be more appropriate to introduce a scheme of rationing – to ensure a fair distribution, rather than efficient distribution. Monopoly. In a monopoly, high prices may not reflect shortages, but reflect monopoly power and this leads to allocative inefficiency. Thank u so much hey. Hey i am so happy and greatful for the information. Thanks.